1. Monitor the "real physical" precious metal market price independently from the manipulated futures and other "digital" financial markets. 2. Monitor the import volume trades of all precious metals from any country in the world into any country in Europe and vice versa. 3. Monitor the export volume trades from any country in Europe to any country in the world and vice versa. Thanks to our "Dynamic Data Filtering Technology", the YQ Matrix renders operational graphs from a wide variety of data source. For an overview of the data sources used on the YQ Matrix platform, click here. 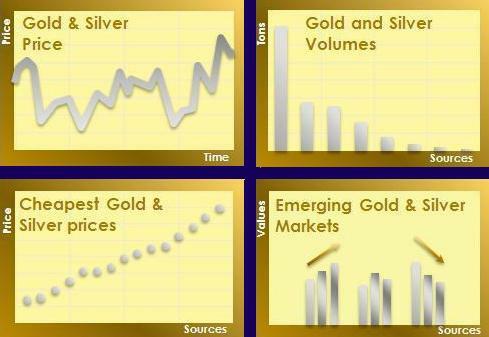 Below you will find the free SILVGOLD graphs showing the import prices and volumes into the Eurozone. By subscribing to the full SILVGOLD module, you will have full access and be able to select the price and volume graphs of specific countries, specific timeframes and a wide variety of other precious metal types which cannot be manipulated by the "future" market. For your FREE TRIAL, please click here.